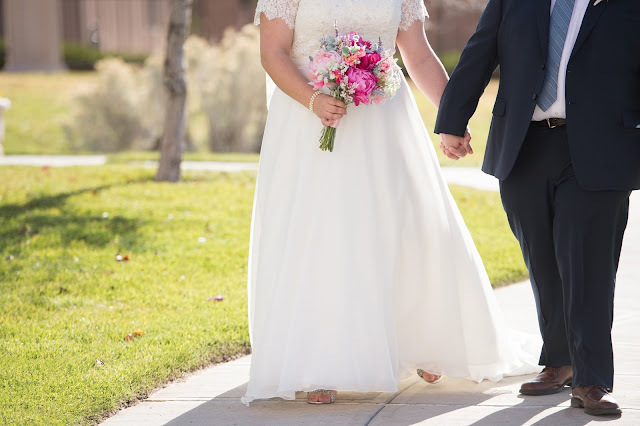 True confession: I bought my dress almost five months before we were even engaged. I knew we would be getting married but had no idea when given a variety of factors. Thanks to my years of reading wedding magazines and blogs I knew I needed to leave as much lead time as possible to get the dress I wanted. 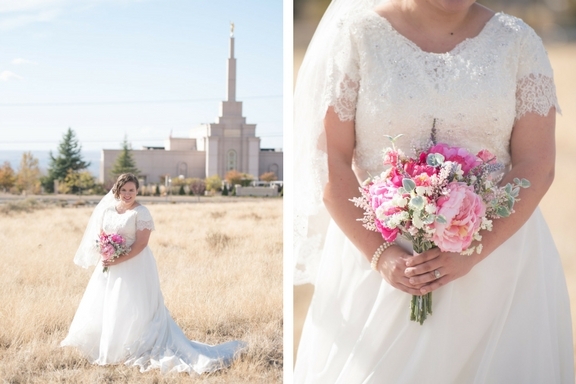 The fact that I bought my wedding dress so early turned out to be a total blessing. My seamstress literally finished the alterations the day before I left Spokane to move to Albuquerque. By getting my dress early I was able to have my mom go with me along with my dear friend and bridesmaid Krista. If I'd waited I'm not sure that would have been possible. 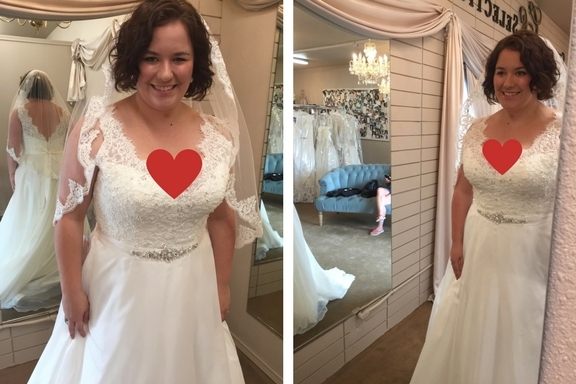 You'll see in the photos that the dress I bought was originally sleeveless and had a deep v-neck and plunging back. 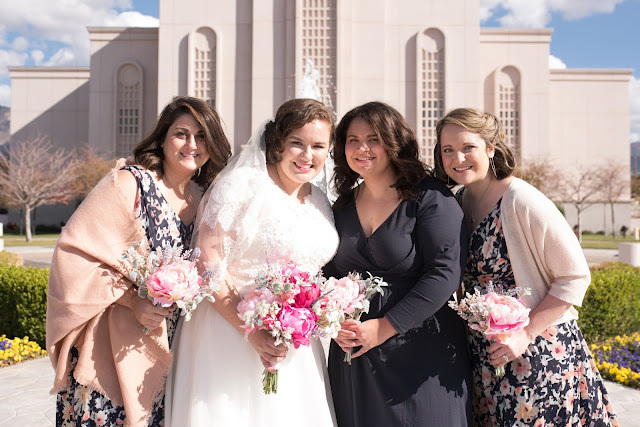 Luckily, I wasn't the first Mormon bride to purchase a dress from the bridal shop I ended up going to in Spokane. 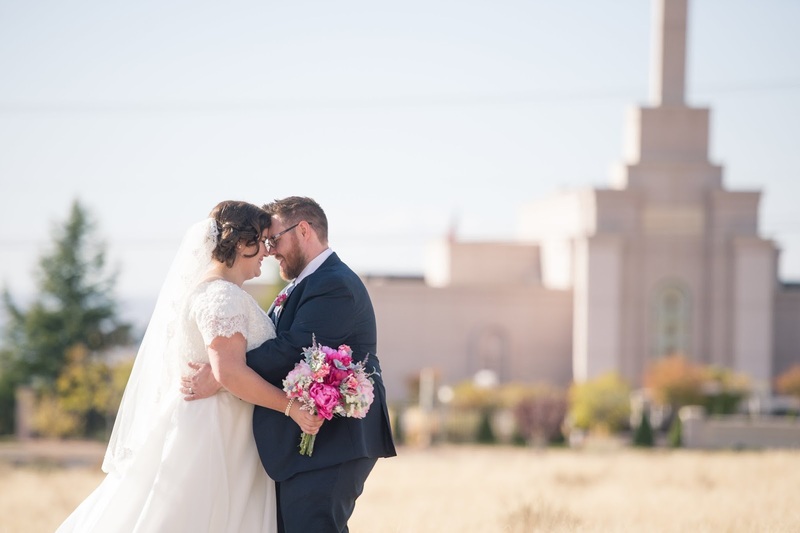 They connected me with an amazing seamstress who specialized in making gowns modest for Mormon brides. She did a phenomenal job altering my gown, including hours and hours of beading the bodice by hand. 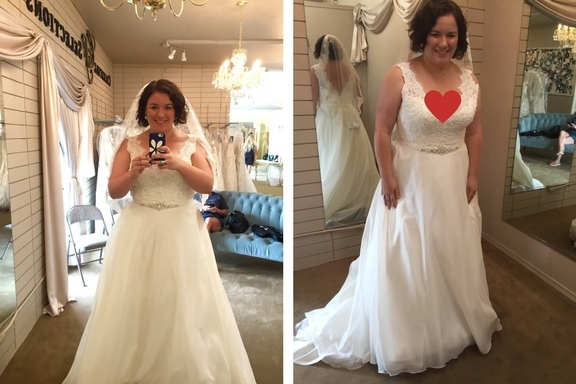 I spent a lot on my dress (it was the most expensive part of our wedding) and sometimes feel like I maybe should have been a little less hasty and a little more frugal. However, the dress fit like a glove and I felt absolutely beautiful on my wedding day. I've dreamed of what my wedding dress would like since I was a little girl and couldn't have been happier with the reality. 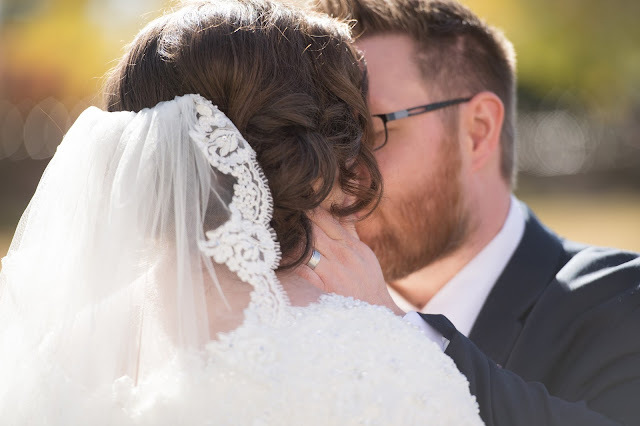 I purchased my Maggie Sottero wedding dress and veil from Celestial Selections in Spokane, WA. 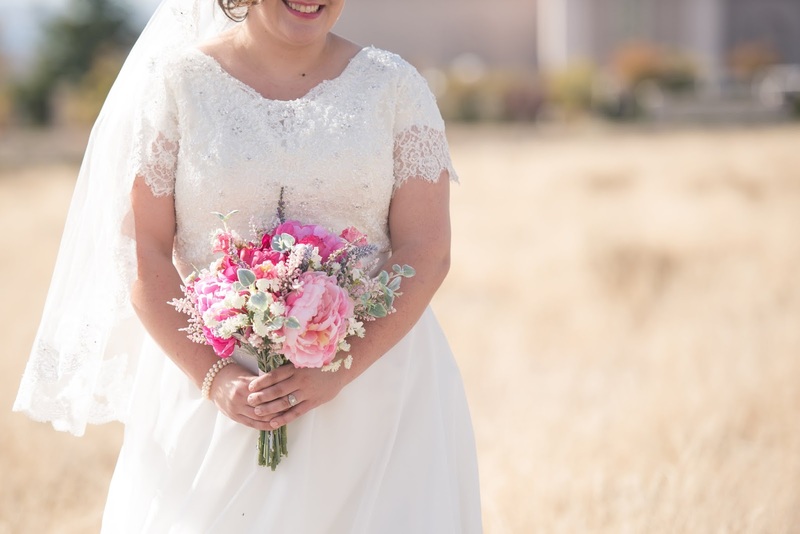 I was able to order extra lace and beading directly from the designer through the shop so the alterations matched perfectly with the original gown. While I might have spent a lot of money on my dress, I definitely saved money in the flower department. 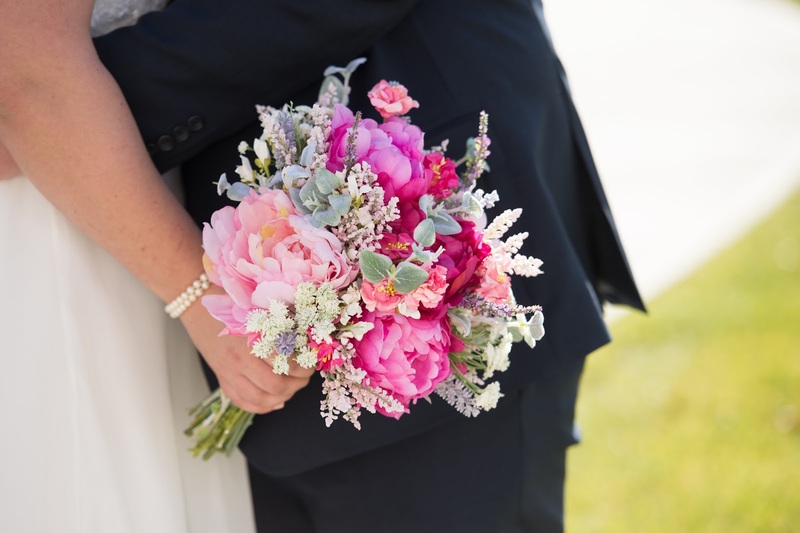 I purchased ALL of my wedding flowers and bouquet supplies from Michael's for less than $200 total. Did I mention all of the flowers were FAKE?! 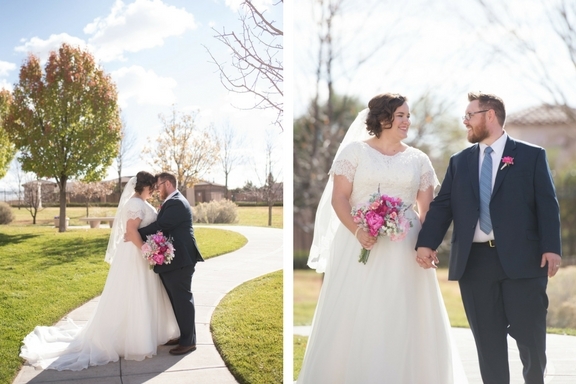 I ended up getting married in the fall but fall colors weren't what I wanted for my wedding. Spring flowers come out at the beginning of the year so like my dress, I pulled the trigger early before we even had a wedding date. I bought all the flowers in January while I was still living in Spokane. 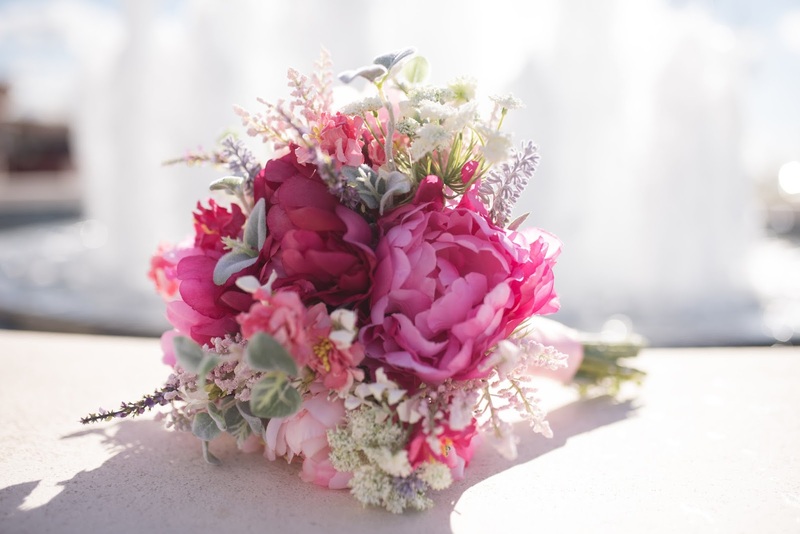 Again, this ended up working out well because I was able to design and make my bridal bouquet with my mom before I moved to Albuquerque. 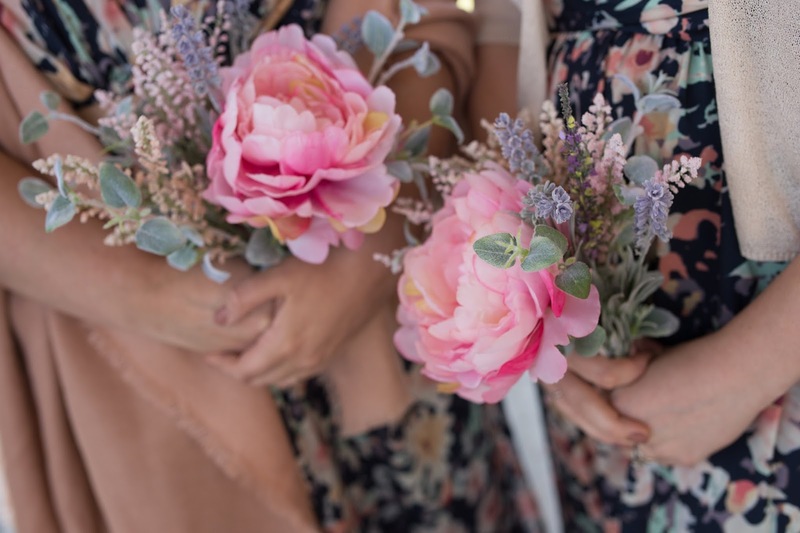 I'll always remember sitting in the Michael's craft room with my mom with flowers spread out across all of the tables as we worked to determine what to buy. In August, three months before our wedding, my best friend and bridesmaid Tasha came to visit me from Chicago. 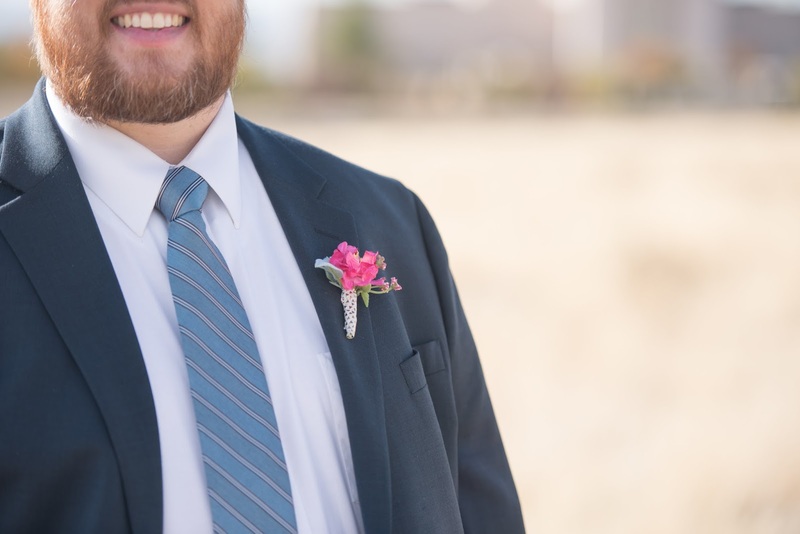 She's uber talented and with her guidance we made all of the boutonnieres and bridesmaid bouquets. She also helped me design the centerpieces for the reception which I'll share in another post. Tasha was essentially my unofficial wedding planner. We pinned so many ideas to Pinterest over the months leading up to the wedding it was kinda hilarious. And we certainly couldn't have pulled off our reception without Tasha and her husband David's help. I'm so grateful to our dear family and friends who helped make our wedding day so beautiful and special. Love the hearts in the pics!!!! Haha! You had the best seamstress ever!!! And the flowers are soooooo gorgeous.